If you own a smartwatch that runs Wear OS (formerly Android Wear), Google's operating system tailor-made for wearables, chances are you're on the lookout for some solid apps. While we've covered some of the best overall downloads for Wear OS users in a previous post, that article only grazed the surface of the top picks in different app categories. And since Wear OS watches are equipped with hardware to track your daily activity, it's time to take a deeper dive into apps that help you leverage your smarwatch to stay fit and keep up to tabs on your workout data. Before getting into the list of top Wear OS apps with a focus on fitness, it's worth taking a minute to touch on Google's own fitness tool, called Google Fit. This applications actually comes pre-installed on all new Android phones, and if you have a Wear OS device you can choose to use Google Fit as your main fitness app on your smartwatch. To do so, navigate to the Wear OS app on your phone, and select Google Fit as your default activity tracker. The Google Fit app covers most of the basics you'll find on standalone activity-tracking devices — such as steps taken in a day, total active minutes, distance traveled and calories burned. This app will automatically sync data with Wear OS devices, and if you have a Wear OS watch that includes a heart-rate monitor — such as the Motorola Moto 360 Sport — the Google Fit app will track this stat as well. Plus, Google Fit integrates with many other Wear OS fitness apps, including several mentioned in this list below. Without further ado, here's a list of the best activity-tracking apps to consider downloading on your Wear OS smartwatch. First four missions are free, after which you can unlock another each week. Running and game stats provide extra motivation. Clocked distances not always accurate. Tends to close unless you deactivate Battery Optimization for the app. What better way to get your heart rate up than to use an app that puts you on a mission and tasks you with outrunning zombies? Whether you prefer to walk, jog or run, this popular download will encourage you speed things up when "zombie chase" mode is in effect. The app includes 200 missions, and the immersive experience is part audio book, part workout coach (or at least motivator). Especially if you get bored easily while you're out on long runs, Zombies, Run! is worth a download since it will certainly keep you engaged. And you don't have to sacrifice listening to your favorite music, either; the app will combine your tunes with the story, so even when you're not "running for your life" when the zombie sounds start, you'll have the upbeat temp you need. This app is designed to help busy Wear OS users fit in quick and easy workouts. As you could guess from the name, the workout plans are seven minutes in length, and they don't require any special fitness equipment; you simply use your own body for resistance, along with a chair and a wall for select exercises. The Seven app uses some gamification strategies to keep you motivated; you start out with three "lives," and you'll lose one each day that you skip a workout. You can also unlock achievements as you progress to more advanced workouts. 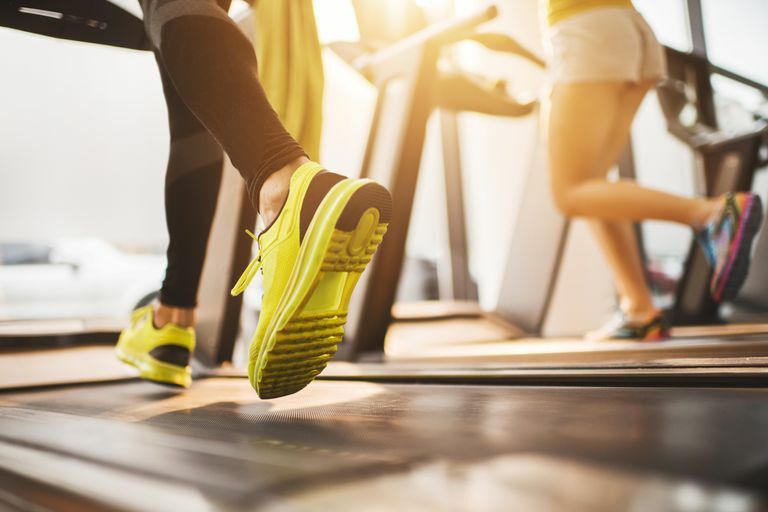 You can even play music from your favorite app to keep your energy up as you work out, and the app doesn't require an internet connection, so you can get moving anywhere. Can share progress, route maps, and photos with active community. Works with a broad range of activities and sports. Tends to shut down without adjustment in Battery Optimization. Defaults to elapsed time, rather than moving time. Considered the definitive app for cyclists, Strava for Wear OS lets you start, stop, pause and resume ride-tracking directly from your smartwatch, and you can even use voice commands to start a run or bike ride using the wearable. The app will show you stats including average speed, time, distance, run splits, heart rate and real-time segments. Easy to use with a bit of experience. Works for people of all fitness levels. Anything more than basic features requires paid subscription. Strength training is a part of any well-rounded workout plan, so it would irresponsible to do a roundup of the best Wear OS apps without including one focused on weightlifting. The StrongLifts app guides you through strength- and muscle-building workouts, and you can track your activity directly from your Wear OS watch. The app guides you through squats, overhead presses, deadlifts and more, with the goal of getting you to complete three 45-minute workouts per week. You can set your weight preference in the app and track your progress over time as well. Lots of statistics provide insight into daytime energy levels. Free version limited to two-week trial. Takes time to learn and explore all features. Why include a sleep-tracking app, you ask? Well, getting good rest is essential to health, and ensuring you're getting a proper amount of sleep will help you keep on track with your activity goals. While there is a free version of this app, it only gets you a two-week trial of sleep cycle-tracking using your wearable's sensors. However, this could be a good place to start, since you can try out the app for free and see if the sleep-tracking functionality is useful enough to warrant paying for the premium version. The sleep cycle tracking does tie in to the app's other main feature: a smart alarm. This will wake you up with gentle sounds at the optimal moment based on where you are in your cycle, with the idea of getting your day started off on the right foot. As you can see, there are plenty of apps tailor-made for Wear OS that can help you work up a sweat and keep track of your fitness progress. Some might even argue that there's no need to purchase a standalone activity tracker when your smartwatch can collect so many workout stats, though of course serious athletes and those who prefer other sports like swimming or golf will still want to look toward specialized sports wearables.